Weather permitting, from 10:00am-4:00pm, on Saturdays and Sundays in March, our evaporators will be operating at the authentic old-fashioned sugarhouse along with tree tapping demonstrations, demonstrations on how our Native Americans made maple syrup, there will be sugar on snow, maple cotton candy, wagon rides to the sugarhouse, and activities for the kids. For those of age, sample our Maple Chardonnay wine at the sugarhouse. Come experience an old fashioned good time. It's Maple Sugarin' Time! 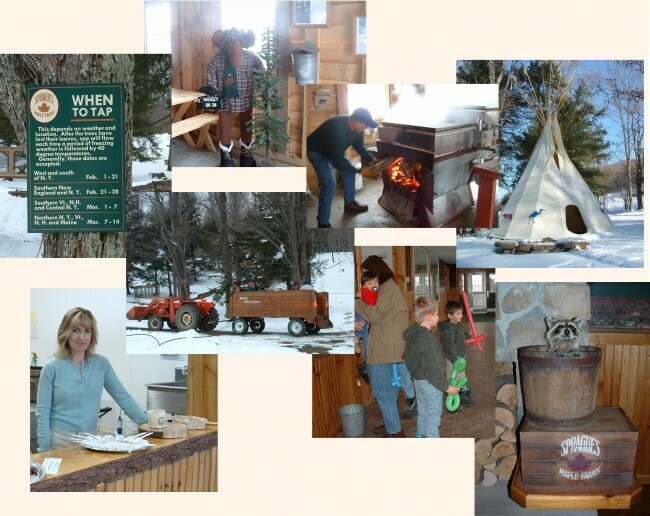 2019 NYS Maple Weekends are March 23-24 and March 30-31. When you are done on the hill, come enjoy a great, down-home country meal and browse our gift shop where you can purchase any of our 100% pure maple products or country gift items.